Most of you, I think, know that Michael from Fell Voices has a "side project" called Sleepwalker. 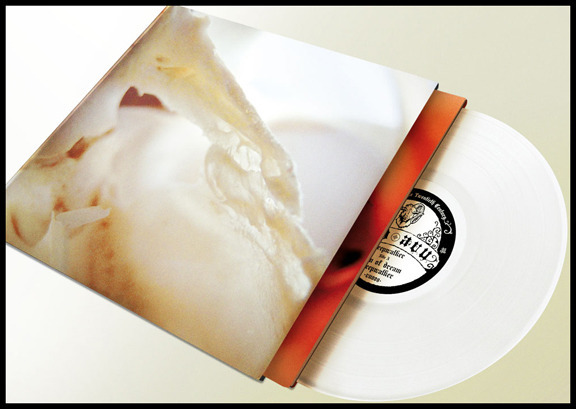 Two demos on CD have been self-released, and now, after a rather lengthy wait, the first Sleepwalker demo is being released on glorious white vinyl, cut at 45 rpm for superior sound quality, and remastered from the original recordings. Comes in a full-color jacket with a 12" printed inner sleeve and a letter-pressed obi-strip. Swag. The catch is that it is limited to 100 copies, with no promise of a repress. These are guaranteed to go pretty darn fast. They go on sale on Monday, June 18th. so keep your eyes on Vedavu Records throughout the day on Monday. Sleepwalker and Fell Voices were two of the highlights from the Gilead Media Music Fest, and Michael is a hell of a nice guy, so he certainly deserves your support. Nice! I actually picked up a test press of this at the Gilead Media fest, one of 3 they had I believe. Great release!